Posted January 14, 2019 by SCS Gearbox & filed under Miscellaneous, Monster Trucks. If you’re going to go through the trouble of building a monster truck, you should do everything in your power to keep it street legal. Otherwise, you’re not going to be able to show it off as often as you might like. There are a few things you’ll need to keep in mind when assembling a street legal monster truck. Check out a few tips that will allow you to drive it around wherever you want. Avoid covering windows with dark tints or obtrusive details. Many monster truck owners will tint their vehicle’s windows and cover them with decorative details and other stickers. If you’re planning to drive your monster truck around on the street, these things are a big no-no. The best way to attract the wrong kind of attention to your truck is by covering up any portion of your windows. You should avoid doing it at all costs. Watch how high or low you mount your headlights. To drive your monster truck out on the streets, it’s going to need to have fully functioning headlights on it. More importantly, those headlights are going to need to be mounted at least 22 inches off the ground. At the same time, headlights cannot sit higher than 45 inches from the ground. This will help you steer clear of getting pulled over because of the positioning of your headlights. Keep your muffler and exhaust system quiet. Monster trucks are known for making a ton of noise during monster truck shows. However, that simply isn’t going to fly when you’re riding around your town. The mufflers and exhaust systems on monster trucks aren’t allowed to be excessively loud. They also can’t be outfitted with a cutout or a bypass. Additionally, the exhaust pipes for your monster truck cannot send exhaust fumes streaming out to the side. Choose the right tires for your monster truck. Everyone knows that monster truck tires need to be big. And you’re allowed to throw big tires on a street legal monster truck. However, those tires are not allowed to extend out beyond the body of your truck. If they extend out any further than that, you’ll need to equip them with mudguards to prevent your truck from kicking up rocks and debris that could damage other cars. 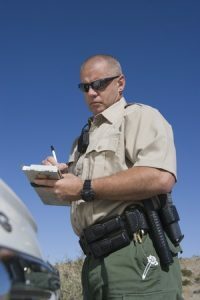 Now that you know how to keep your monster truck street legal, get to work. Just make sure you do it by using the best possible parts. 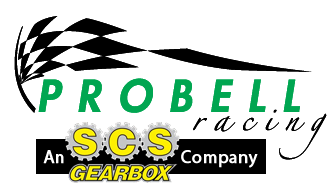 SCS Gearbox can provide you with the parts you’ll need to make your street legal monster truck a reality. Call us at 419-483-7278 today to discover which parts we can send your way.